With unemployment declining, all the good people have a job. Hiring the wrong person leaves you with a big mess to clean up and lost profits. How can you avoid making hiring mistakes? James Stark, managing partner at AssessMax shares his insights on how to cut your employee turnover by at least 50 percent. Mark S A Smith: My guest today is James Stark. He is the managing partner of Assessmax. He works with companies to help them pre-screen, interview, develop and promote talent at every organizational level to maximize success. As we are moving into this golden age where more and more people are employed and we need people to do better work as artificial intelligence comes online and the need for lower cognitive power workers is starting to decline and we need higher cognitive power workers to get the job done, it is becoming really tough to find and hire and develop and keep good people. James has joined us to share with us the insights that he has gained in working with companies to do exactly that. Welcome, James. James Stark: Thank you very, Mark. I’m very pleased to be here. Mark S A Smith: What are you seeing from the employers that you work with as far as the challenges they face to find good people today? James Stark: You know AI is starting to replace a lot of line level people and it’s projected that they’re going to be a lot more replacements in the next 10 to 20 years. Mark S A Smith: Oh, it’s going to be a whole lot faster than that. Mark S A Smith: I live in Las Vegas. One of the restaurants at the airport recently completely shut down, ripped it all out, remodeled it for more AI-driven and automation driven behaviors. They ripped out a perfectly good restaurant and replaced it. It’s already happening right now. James Stark: It’s happening and it’s going to continue to happen and before it completely sets in, we are going to be talking about line level people, but at every level of an organization, we have to find the highest level of cognitive ability or one level higher than the competition is what we say. Mark S A Smith: And one of the things that I notice is that the level of cognitive capacity of people who are taking care of me seems to be lower at the airport, then it is at other places where I’m served. Travelers have money. Travelers are willing to pay a lot for comfort and convenience. James Stark: They’re spending a lot of money. Mark S A Smith: Right on. We have these organizations that seem to be missing the boat putting people that could be better trained or a little smarter on the front line. I don’t want to disregard people that are less smart. I want to make sure that we’re served at the level that we choose to be served. James Stark: Most certainly. That’s actually something that I want to talk about and that’s something that I’m going to be focusing on today; the pre-screening process, the line level employees. Mark S A Smith: Okay. James Stark: To your example, the line level employees at the airport. For some reason, these companies just don’t have the mentality of getting the best people. It’s ludacris. That’s a huge money industry where people are dissatisfied constantly. For example, Southwest who just puts a little bit more into getting the right employees, it makes a huge difference. Mark S A Smith: That’s exactly right. Their selection process uses clever methods to separate those who can’t handle the stress of travel and they end up with really great people. James Stark: Yeah. Every company has line level people. They’re typically the ones that represent the bulk of the company’s work force. Mark S A Smith: Absolutely. They are the brand. James Stark: They are. The decisions they’re making are the ones that fall in the one day to one week time frame. They’re the tactical employees. They’re at the base of the hierarchy of an organization. In a business-to-consumer company, they’re the ones that interact with the customer the most often. Mark S A Smith: Absolutely. They’re the ones that set the tone. They really do have a very short time span. We’ve talked in other shows about the concept of time frame of discretion, time span of discretion, which is how far in the future can you look? Just to remind my listener here that the farther in the future that you can look and act upon it, the higher the cognitive capacity you have. The reason why is because the further you go in the future, the more complexity you have to deal with. If you only have to deal with this moment in time, it’s a lot less complexity than having to deal with five years out or 10 years out or even the six months out. This cognitive capacity is a reflection of the ability to handle time frames and uncertainty. The people at the frontline quite frankly deal with the least amount of uncertainty. James Stark: Yeah. They are the day-to-day workers that are usually prompted by their supervisors or managers on a daily basis to carry out the tasks that they’re meant to carry out. James Stark: That usually involves, in the example of the airport, dealing with travelers that they see for a few minutes and leave that impression and then the people are gone. Mark S A Smith: One of my favorite restaurants as we travel … This is kind of interesting. We’re using restaurants as the metaphor here. Just to me, it’s really close to my heart and stomach. James Stark: Oh, John Elway’s. Okay. Mark S A Smith: … See. That’s one of John Elway’s restaurants. They provide extraordinary food and they have really smart people taking care of you. Most of the people working there were the folks that opened the restaurant and have been there forever and they know the names of the customers that are regulars going through there and so have become “the” choice. Mark S A Smith: And, of course, Elway’s is probably three or four times more expensive than popping into McDonald’s for an equivalent … Well, no. It’s not going to be an equivalent burger, but for a burger. Elway’s is making bank because they’re using higher cognitive capacity people to provide service. James Stark: I would bet you anything, that for anyone who is coming in, they’re vetting them a lot closer than your average fast casual or some of the other chains that are serving similar food. Mark S A Smith: Well, sure. There’s Wolfgang Puck’s and DIA and other restaurants. Not quite the same level as Elway’s, but without a doubt, a much better experience. In fact, one that we seek out. I think fast-casual’s a good way of describing Elway’s. It’s just kind of an interesting idea here that we can up level a customer experience by choosing more capable people. How do you suggest that people go about finding and interviewing and hiring and retaining these people? James Stark: The managers that are in charge of finding, interviewing, hiring, retaining these entry level people, they do face huge challenges. We actually have a set of tools that help hiring managers gain insights into their applicants that’ll help them make decisions about who they’re hiring to become part of the face of their business. Mark S A Smith: What do you look for? What is it that you’re assessing or looking for at the front end of that experience of hiring somebody? James Stark: The pre-screening piece of hiring is something that a lot restaurant hospitality companies don’t seem to do. Just an example being myself, I’ve worked in 10 plus upscale restaurants and hotels over a decade plus and when being hired, I have never gone through a pre-screening process. The pre-screening process is fairly simple honestly. The assessment that we administer for companies just looks at the validity of the answers of the people who are taking the tests. Then it looks at a performance scale with eight components that you’re good on and you get your box checked. Or there’s a flag on it. Then the interview will be structured around the areas of concern. Mark S A Smith: Yeah. That makes sense. Let’s figure out where their strengths are and then we can interview to find out if we can backfill the weaknesses around their strengths or with other people. James Stark: Exactly. The test actually provides your whole interview for you. When hiring managers have a million things they have to be concerned with or human resource people have a million things that they have to worry about, but this is something that they can take into an interview, ask the questions, fill out a few blanks and come out with an answer about whether or not they should be hiring this person. Mark S A Smith: That’s a really interesting insight, James, because most people, especially in the world of restaurants, where do they learn how to interview? James Stark: That’s a good question. Mark S A Smith: Who taught them how to do this? Listener, I bet you that you’ve hired somebody in the past and you thought you did a really good job interviewing them and figuring out who that person was and they were a bad hire. Everybody who runs a company has made a bad hire, but in the moment, they thought they were making a good hire. James Stark: It’s true. We like to tell our clients and our colleagues that most people and particularly people in this business where they haven’t had any formal training on conducting an interview go with their gut, when they should be going with their informed gut. 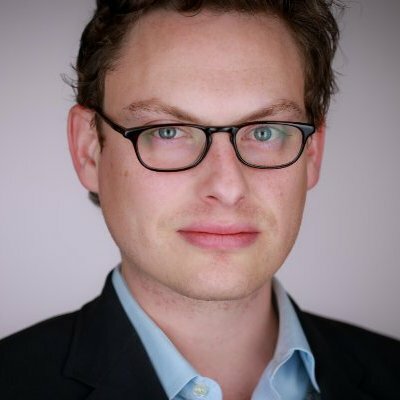 James Stark: To what you were saying just a moment ago, I read an article yesterday on a website called modernrestaurantmanagement.com. It was citing a paper from The Center for Hospitality Research at Cornell that says that losing a single restaurant or hotel employee costs $5,864. That’s the median cost. Mark S A Smith: You got to sell a lot of burgers to make up $5,600 in loses. James Stark: You sure do. They’re saying that about two-thirds of that is coming from productivity loss from the time that’s lost from having to retrain from having to find new people from the nonsense that comes with the bad hire. The average restaurant or hotel is losing about 150 grand a year to turnover. Mark S A Smith: That’s a lot of money. That’s a lot of margin. 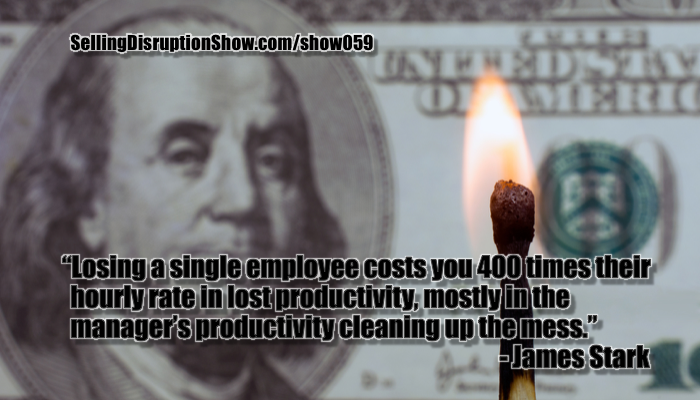 It’s interesting to think about this concept of the productivity loss. The big issue is that if you hire a bad person as a manager or a business center, you spend a lot of time cleaning up after that person’s screw-ups, whether it’s comping products and services or calming down customers or anything else. You’re going to be doing things that has zero impact on the profitability and growth on your business. You’re just cleaning up a blood-spurting mess. James Stark: Just cleaning up messes. That’s just the customers that complain. James Stark: I don’t know if you’ve ever been to a restaurant where your server screwed up or the kitchen screwed up. That’s a whole ‘nother thing back to the house. You basically had a bad experience, but you smiled. Pay the normal tip. Left and then told everyone that you know never to go there. Mark S A Smith: Oh, yeah. You just don’t go back. Or you leave a lousy review. What’s the approach you take to help minimize this turnover? James Stark: The approach that we take is finding the right people in the first place. My focus right now avoiding the bad hire in the first place and finding the right people that make it through this first level of vetting. Mark S A Smith: What kind of improvements can somebody expect by using a pre-screening assessment? Mark S A Smith: Really? You’ll have 50% better people or you can cut the number of bad people in half? James Stark: Yeah. It’s about avoiding people as much as it is about finding good people. 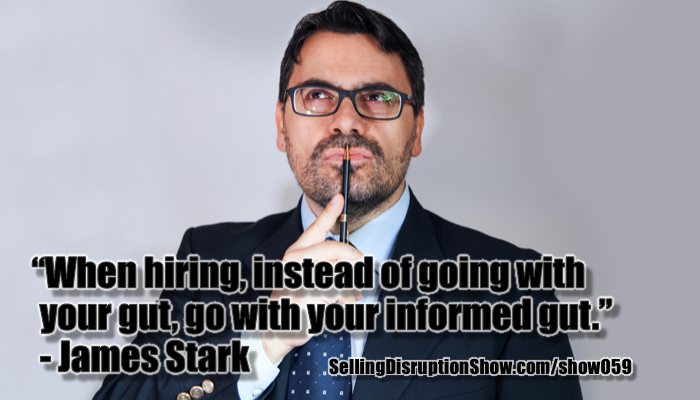 James Stark: A lot of times a restaurant or a hotel will just hire somebody because they have a pulse. Mark S A Smith: Yeah. Right. That screws things up. Companies that work with Assessmax typically see their turnover cut in half. James Stark: Yeah. That’s pretty typical. In certain cases, it can be better than that. Mark S A Smith: Wow. Very, very cool. This is just simply by picking the right people to say yes to or make an offer to. It has nothing to do with training or culture. This is just getting the right people into the hopper. James Stark: Keep the people that are not likely to succeed and that are likely to turnover out and to find people that will participate in the business the way that you want them to is a huge source of advantage. Mark S A Smith: Indeed. What type of questions are you asking in this assessment? What are you looking for? You said you ask questions in eight areas. What are we exploring? James Stark: For a front of the house person … Front of the house in this case would be hosts and hostess. It would be servers and bartenders primarily at the line. What this pre-screening tool assesses for is energy level, frustration tolerance, willingness to accommodate to others, the ability to multi-task, a positive service attitude, enjoying influencing the action of others so influence, criticism tolerance, which is a big one and pride in work. In other words, they want to be there. They care about what they’re doing. Mark S A Smith: I think this is really an interesting list of characteristics and probably not one that our listener would have come up with on their own, but once you laid out what these eight areas are, they make absolute sense. If you don’t have a person that has energy, it’s not going to be any fun for anybody. James Stark: How are they going to take care of anyone? James Stark: Right. It’s so true. I’ve worked in business for quite a long time and when it gets busy, when there’s a flood of people that come in, you have to be accepting of a little bit of criticism. You have to be able to tolerate an overwhelming feeling at times. You have to make quick decisions. You have to deal with little irritations and criticism from the management that’s coming around. “Go clean this up.” If you’re not willing to deal with that and with a smile on your face by the way, you’re going to sink fast in that business. I’m going to flashback. I remember when I was a young man and I wanted to go into radio, about how challenging it was to speak and to mix the audio and to get the music ready and to handle all of these multi-task things that were thrown at me. I saw it as a game and quite frankly, this probably the best time that most young people learn multi-tasking is doing video games where you have so much stuff coming at you, you have to figure it out. That capacity to handle multiple things at a time and not drop any of these balls that you got juggling is a critical component and so what you’re telling me is that you have an assessment tool that allows a manager to figure out if a person has the capacity to multi-task and influence the action of others and handle the criticism. That’s really impressive. James Stark: Right. If there are one or two flags and you do decide to add this person to your team, this tool actually will offer some developmental suggestions, which can be very helpful to the manager if they do pay attention to it. Mark S A Smith: That’s pretty cool. You actually end up with some direction to assist in how to get this person going. Give me an example of how you might improve a person’s capacity to handle frustration. James Stark: One thing a manager can do for someone who’s prone to be being a little bit frustrated, especially by something during a shift, is just remind them that it’s just a little thing. They can take a deep breath. There are so many things that happen in the course of a shift, it’s just not a big deal. Let them know that over all, they’re doing a great job and let the little things go. James Stark: Minor accident. They happen every single day in every single place. Mark S A Smith: Exactly. All of us have dropped a plate. James Stark: That’s right. Or a few. Mark S A Smith: The question is do you dance and celebrate? Or do you go hide in the restaurant? Mark S A Smith: Yeah. Exactly. Exactly. Very, very cool. What is an approach that you can offer to our listener to figure out how to do this or bring this into their organization if this sounds appealing to them? James Stark: This is something that we have done for just about 20 years. We’ve assessed thousands of people. Not only in the service industry, but in construction and real estate. It’s really industry agnostic. There are customized versions for many, many industries, including retail, call centers, customer service, health care, leasing agents, banking and so on. They’re also in 10 languages. Although, we’re going to stick to English for the most part. Mark S A Smith: Well, English and Spanish. James Stark: Spanish. We have Portuguese. There are a few others, too. Mark S A Smith: To really zoom into the areas where they have the characteristics that are required to fulfill that role. James Stark: When we work with a client, basically, they have us start with administering a few of these assessments to some candidates. We interpret them with the hiring manager. Go through each part. Give our recommendations. Then let the manager go through their interview process and then we give the recommendations on whether or not to hire these candidates. Provided that that goes well, we bring it the point with the client, where they are administrating their own assessments. They’re the ones who are interpreting them. We’re pretty much out of the picture at that point a la gig economy. Mark S A Smith: Great. The whole idea here is “Let’s get you going. Let’s reduce the number of people that are turning over. Help you pick better people and put them on a better development path. Teach you how to do it. Once you got it wired up and we cut you loose and away you go.” I like that. A lot of assessment tools that are out there, “Here’s a tool. Good luck.” That I think the idea of providing some additional coaching and implementation is a big deal. James Stark: Nah. It’s critical. It’s something that we won’t just sell it without giving an explanation. Honestly, it seems a little bit irresponsible. We want everyone to understand what they are actually doing. Mark S A Smith: This has substantial financial impact on an organization so you want to get it right. James Stark: You most certainly do. Mark S A Smith: Really good. If a listener wants to get a hold of you and have a conversation with you, James, how do they do that? James Stark: The best way is to just go through our website. I have contact information on there for myself. It’s assessmax.com. Mark S A Smith: All right. A-S-S-E-S-S-M-A-X.com. James Stark: Yes, sir. You can also look through my LinkedIn profile if you’d like. Mark S A Smith: We’ll have that LinkedIn profile on the show page. 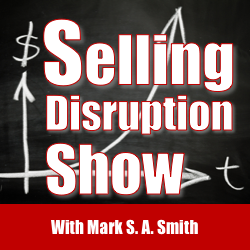 Thank you for joining us on the “Selling Disruption Show” and providing us with insights on “How to select better people and cut your turnover so you can spend more time growing your business and less time cleaning up a mess.” Thank you, James.